This winter, you’ll have that chance. 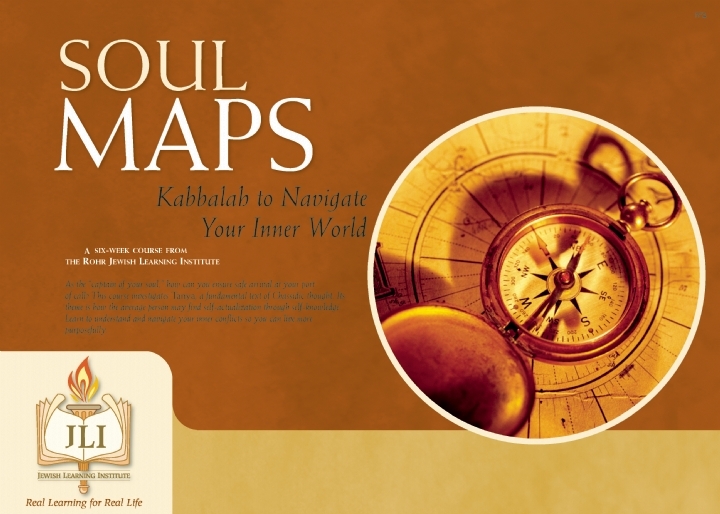 Soul Maps, a new course from the Jewish Learning Institute, investigates Tanya, the fundamental text of Chassidic thought. The course is structured as a six-session consultation with the author of the Tanya, Rabbi Shneur Zalman of Liadi. During each session, you will receive insight into your inner world and you will discover new strategies for overcoming obstacles to change and progress. You’ll learn to resolve guilt, conflict, and confusion, and to traverse life’s journey with joy, purpose, and direction. Look out for our pre-holiday workshops! This year celebrate the High Holidays as a pro! For online Torah Study click here.